In 2007, Harvard University launched its Origins of Life Initiative, a multi-disciplinary research effort to understands life’s origins both on Earth and perhaps on other planets as well. Here are some highlights of this work as reported by Courtney Humphries in the September-October 2013 issue of Harvard Magazine. The driving question is, how does biology emerge from chemistry? “How do inorganic molecules begin to behave like living organisms?” Or as professor Jack Szostak puts it, “Where do you draw the line between life and not-life? Well, different people might have different places where they draw the line. It doesn’t really matter—what matters is getting some insight into the overall process.” And understanding how the process took place on Earth will point towards other planets that might be candidates for life. DNA is the cookbook, with recipes to make an entire organism. RNA is the cook that makes every recipe, even the one for the cookbook itself. Which came first? According to the article, scientists studying that process “face a chicken-and-egg problem: in modern cells, the genetic instructions of DNA are translated and carried out by RNA and proteins, which perform cellular functions—including building DNA. So how could any of these complex molecules have arisen without the aid of the others?” In the past, scientists thought DNA, the vast instruction book handed down to all living things, came first. But current opinion favors RNA, “a quick and dirty multitasking genetic molecule, able both to store biological instructions and catalyze [speed up] its own reproduction.” RNA is unstable, though, and eventually some of its tasks were taken up by DNA and proteins. So how did these busy RNA molecules, candidates for recognition as the first living things, come about? We don’t know. “There is still a laundry list of problems that must be solved to create a plausible scenario for RNA formation, and several labs around the world are painstakingly working on each one,” according to the article’s paraphrase of Prof. Szostak. We’re back to getting from the chemistry to the biology. Whatever the process was, the environment on earth was part of it. The earth provided geothermal vents to help “cook” the mixtures of early chemicals, as did the ultraviolet radiation that was 200 times stronger at that time than it is now. The earth provided the carbon and the nitrogen, while early photosynthetic bacteria burped out oxygen as a waste product, one that later became a requirement for animals. 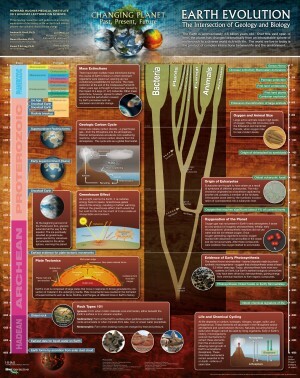 A helpful poster showing the environmental changes on earth alongside the simultaneous stages in the history of life has been prepared by the Harvard scientists with the Howard Hughes Medical Institute in Maryland. The version below, when printed out, is legible. The Harvard Initiative doesn’t have all the answers yet, but the process of life’s beginnings is getting clearer. 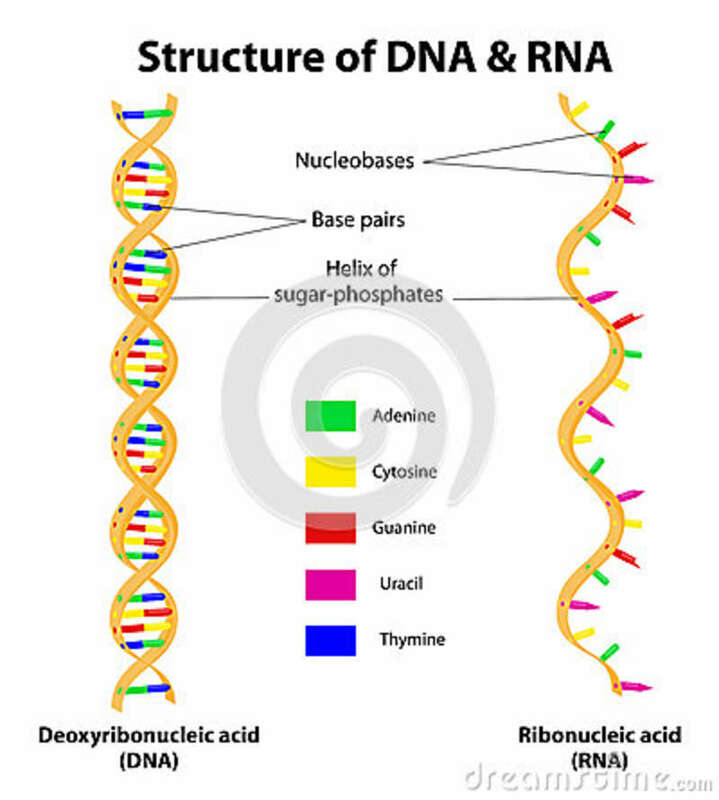 This entry was posted in Chain of life, Surviving and thriving and tagged DNA, origins of life, rna. Bookmark the permalink. This is clear and potentially provocative to a scientific audience.